Modifiable Risk Factors are about lifestyle factors everyone can work on in order to avoid dying from a lifestyle disease, or a degenerative disease, as they age. While allopathic medicine is the most effective system for acute medical and surgical emergencies, it has only a limited ability to change the course of many serious degenerative diseases. A collection of lifestyle effects and environmental factors accumulate over the years and develop into lifestyle diseases, or diseases of civilization. They are different from other diseases because they are are potentially preventable. An unhealthy lifestyle is the basic cause of poor health, and does nothing to improve your natural immunity. Your natural health is under your own control. It is up to you to take action! Throughout our lives, we expose ourselves to many chemicals in small amounts and in many combinations unique to our culture and environment. We can prevent most cancers if the factors that cause them can be controlled or eliminated. Pollution is not part of a healthy lifestyle. Healthy living means taking action by removing yourself from all forms of pollution. Can you catch a lifestyle disease from other people? Do not immediately dismiss the notion that people originally adopt bad lifestyle choices by imitating other people. For instance, how did a smoker start smoking in the first place? Did most smokers start smoking as children? In a manner of speaking, everyone is in effect in danger of adopting poor lifestyle behaviors and choices from peer pressure, conformity to a social norm, from the herd instinct or mentality, or from the people that you choose to hang around with. Air and Water Pollution - Air pollution is a Modifiable Risk Factor for cancer, especially lung cancer. Carcinogens derived from car emissions, industrial activity, burning of solid wastes and fuels remain in the air from four to forty days and travel long distances. Water fluoridation is a definite negative of many public water supplies. Our drinking water might contain many different carcinogens, including asbestos, arsenic, metals, and synthetic organic compounds. Asbestos and nitrates are associated with gastrointestinal cancers; arsenic is associated with skin cancer; and synthetic organic chemicals are associated with cancers of the gastrointestinal tract and urinary bladder. Alcohol - Alcohol in moderation (ex., one to two beers or one to two glasses of wine per day) has been shown to reduce the incidence of heart attacks. It increases your HDL, or high-density lipoprotein that is often called the good-acting cholesterol. Alcohol in moderation is part of a healthy lifestyle. Healthy living means drinking alcohol only in moderation. Alcoholics and others who regularly abuse alcohol are advised to quit drinking, entirely. Lifestyle choices are about Modifiable Risk Factors. Dietary excesses are not part of a healthy lifestyle. Healthy living means taking action by cutting back on all dietary excesses. Excess Sunlight and Radiation - Human studies show that radiation is a Modifiable Risk Factor for developing cancer. Radiation is exposure to the sun's ultraviolet-A rays in the late afternoon, nuclear radiation, X-rays, and radon. Know the rules for safe sun tanning for vitamin D. Wearing a hat with a bill or brim is also a good idea to keep your head and eyes shaded. Sunlight, and specifically the ultraviolet rays, is the principal offender causing cataracts. Eye protection with sunglasses preferably of the polarized variety, will prevent the cumulative effects of these damaging rays. Have your house checked for radon gas. Chronic and excessive tanning is not part of a healthy lifestyle. Healthy living means wearing SPF 15+ sun screen lotion in the late afternoon to limit your exposure to the sun's ultraviolet-A skin cancer causing rays. Make sure that the sun screen lotion that you are using blocks just the harmful ultraviolet-A spectrum of light rather than the ultraviolet-B rays, which produce vitamin D.
High Cholesterol / Hypertension - Your blood cholesterol level is a Modifiable Risk Factor for CVD. Total cholesterol that is more than 230 increases your CVD risk. More important than your total cholesterol levels, C-reactive protein (CRP) as a measure of inflammation in your arteries should be kept below 1, or as low as possible. Overall, hypertension lacks signs and symptoms, thus explaining the term silent killer. High blood pressure means more than 140/90 mm Hg (millimeters of mercury, a pressure reading). Normal blood pressure should range from 100/70 to 120/80. Until you can control your blood pressure by your diet and exercise alone, you should to be on prescription medication. A high fat / sugar diet is not part of a healthy lifestyle. Healthy living means taking action by avoiding junk food. Obesity - Obtain and maintain a normal body weight. The very bottom line for optimizing personal longevity is eating less. Always munching on junk food is not part of a healthy lifestyle. Healthy living means taking action by eating in moderation. Occupational Chemicals - About 10 percent of all cancers are related to exposure to carcinogens on the job. Some occupations and work places have a high risk for cancer. Working at a dirty job is not part of a healthy lifestyle. Healthy living means taking action by removing yourself from all forms of pollution. Money will do you no good when you are dead. Poor Nutrition - A healthy diet is good for preventing or managing all chronic diseases, and for losing weight, boosting energy and promoting overall good health. There is a strong correlation between diet and nutritional deficiencies and many cancers. The National Academy of Sciences and others estimate that nutritional factors account for 60 percent of cancer cases in women and 40 percent in men. Eating healthy is part of a healthy lifestyle. Healthy living means taking action by eating a healthy diet, on a daily basis. Sedentary Lifestyle - Making time for physical activity is a vital link to enhancing your chances of staying healthy. Choose an activity that you enjoy doing. An exercise program will help prevent most of the chronic diseases. Weight bearing exercises will also help you prevent fractured hips and crumbling bones. Exercising can improve your quality of life. In a healthy person, the resting heart rate may range from 50 - 65 beats per minute for men and 55 - 70 for women. An unfit person may have a rate in the 80s or 90s. A good exercise program will strengthen the heart muscle and help to reduce the resting heart rate and to lower blood pressure and blood fats, while raising HDL cholesterol, thus lessening arteriosclerosis risk. In addition, the benefits from exercise extend to Syndrome-X patients, with a significant improvement in blood sugar regulation, and blood lipid profiles, an improved hip-to-waist ratio, lowered blood pressure and resting heart rate. Regular physical activity is part of a healthy lifestyle. Healthy living means taking action by starting a modest exercise program. The key is keeping at it, not burning out after a week or two of over doing it. Smoking - Smoking is a Modifiable Risk Factor for more disease processes than any other risk factor and causes more deaths than any other lifestyle factor. It has been estimated that 30 percent of all cancers may be related to smoking, either directly or indirectly. All tobacco products are included in this risk factor, not just cigarettes. Smoking is not part of a healthy lifestyle. Healthy living means taking action by stop smoking. Stress - Stress and mental turmoil enhance susceptibility to most illnesses. By creating a milieu of harmony and peace of mind, one can reduce the incidence of these maladies. Stressful living is not part of a healthy lifestyle. Music is a quick and easy stress reliever. 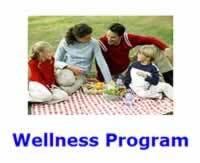 Healthy living means taking action by starting a modest stress reduction program. In conclusion: from the Natural Health Perspective good personal health is about promoting wellness and fitness through the natural remedies of eating a healthy diet, taking nutritional supplements, reaping the benefits of exercise, and having a healthy attitude and resilience in your life. Foolish people trade their health away in the endless pursuit of pleasure and wealth ONLY to end up blowing all their money on the false promises of Big Pharma which is all too glad to support them in their insanity. This article was originally published during 2003. 100% Immunization Campaign - to ensure that older adults are immunized against influenza and pneumococcal disease.